For public safety, a female black bear weighing about 125 pounds and believed to be approximately four years old was euthanized yesterday in Grand Teton National Park. 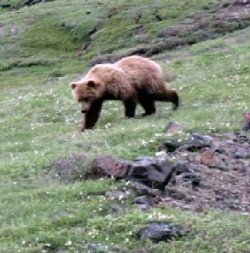 The decision to remove the bear from the population was based on recent activities in which the bear exhibited no fear of humans and approached humans, including a couple sleeping in a tent. Last week there were three reports of a black bear approaching humans and an observation of the bear on the porch of a cabin in the Jenny Lake area. There were no injuries reported with the incidents, but bear spray was deployed in one instance. Park rangers and biologists determined it was the same black bear involved with each incident due to photos taken by bystanders or direct observation. There were no food-storage violations associated with these incidents. Grand Teton National Park Superintendent David Vela said, “Grand Teton National Park and John D. Rockefeller, Jr. Memorial Parkway are home to black and grizzly bears, and everyone should follow bear safety practices.” He said that bear safety practices are for the wellbeing of the visitor and the bear. At approximately 6:30 a.m. on Wednesday, June 21, a visitor camping at Jenny Lake Campground woke as he felt something on the other side of his tent. He exited the tent, with bear spray, to investigate what was going on. He saw a cinnamon colored bear approaching the tent from about 20 feet away. The man yelled to his wife to exit the tent. He then deployed his bear spray as they both waved and spoke loudly to chase the bear away. The bear sniffed the tent, and then stood on his hind legs looking at the couple and swatting the tent with damage to the tent. The couple continued to shout encouraging the bear to leave. Suddenly, as if something else scared the bear, the bear turned and ran away. Other human-bear interactions took place last week with the same cinnamon colored bear in the Jenny Lake area. The bear approached a visitor as he was sleeping in a chair in his campsite, walked onto the porch of a cabin in the area, and closely approached a member of the park’s wildlife brigade. On Wednesday, June 21, park staff searched for the bear and implemented a strategy to trap or immobilize the bear. Efforts continued through Tuesday morning, June 27, when the bear was successfully trapped. Due to the bear exhibiting no fear of humans, making contact with an occupied tent and repeated incidents, the bear was removed from the population. Black bears are not good candidates for zoos and other accredited facilities due to the plentiful nature of the species throughout the United States. Park visitors are reminded that all campgrounds and developed areas should be clean and free of trash and food. Park regulations require that all edibles, food containers and cookware be stored in a hard-sided vehicle or food storage locker when not in use, day or night. Do not burn waste in fire rings or leave litter in campsites. Fire rings should be free of trash before vacating a campsite. Hikers are highly encouraged to hike in groups, make noise when hiking and have bear spray readily accessible and know how to use it. For more information about recreating in bear country, please visit https://www.nps.gov/grte/planyourvisit/bearsafety.htm. Mr. Schrader had minor injuries. Mrs. Holmes was transported by Life Flight to Idaho Falls, Idaho. She was in stable condition. The park reminds visitors that wildlife in Yellowstone National Park are wild. 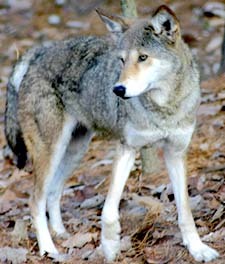 When an animal is near a trail, boardwalk, parking lot, or in a developed area, give it space. Stay 25 yards (23 m) away from all large animals - bison, elk, bighorn sheep, deer, moose, and coyotes and at least 100 yards (91 m) away from bears and wolves. If need be, turn around and go the other way to avoid interacting with a wild animal in close proximity. Two sub-adult male grizzly bears were euthanized by Montana Fish, Wildlife and Parks Monday morning after livestock depredation events during the weekend west of Stanford. The two bears were siblings and had been seen south of the Missouri River, south east of Great Falls several times during the past few weeks. The bears killed four calves late Friday night or early Saturday morning. This was the first time the two bears had killed livestock. When the depredation was reported, FWP and U.S. Department of Agriculture’s Wildlife Services responded in a joint effort to capture the bears. One bear was caught in a snare. The other bear was darted in the open field. Both were handed over to FWP, who then proposed euthanizing the bears to the U.S. Fish and Wildlife Service, which is the federal agency with oversight responsibilities for grizzly bears. The two bears are part of the Northern Continental Divide Ecosystem population, which is currently still listed on the Endangered Species List, though populations in the NCDE have surpassed recovery goals set by the Fish and Wildlife Service. Grizzly bears in the NCDE have been moving out from the Rocky Mountain Front and onto the plains west of Great Falls for the last few years, with some bears pushing further east each year. The two males killed Monday mark the farthest grizzly bears have been seen east of the Rocky Mountain Front in more than a century. The bears were 2.5 years-old and weighed a little less than 300 pounds. As the public reported sightings of the bears over the past few weeks, FWP biologists and wardens visited with landowners and ranchers inquiring about conflicts and advising people on keeping attractants safely put away. Last Thursday about 14 miles west of where the bears killed the four calves, FWP biologists set traps trying to capture the bears. The effort was unsuccessful as the two grizzlies pushed further east. In the final step marking a remarkable recovery effort, the U.S. Fish and Wildlife Service announced on Thursday that grizzly bears in the Greater Yellowstone Ecosystem will be removed from the Endangered Species List. Management of bears in Montana’s portion of the GYE will be guided by the interagency Conservation Strategy, which will ensure a recovered grizzly bear population and that FWP and the other states continue to meet the criteria in the recovery plan. This Conservation Strategy was approved by the Interagency Grizzly Bear Committee in December. The strategy along with the Southwest Montana Grizzly Management Plan and a Memorandum of Agreement between Idaho, Montana and Wyoming will ensure a healthy grizzly population is maintained in the GYE. Grand Teton National Park rangers conducted a rescue for a snow climber who fell after slipping and falling on snow Monday afternoon. Robert Henderson, 68, of Wilson, WY was descending the Southeast Ridge of Disappointment Peak when he fell. Rangers responded quickly to the scene and transported Henderson to St. John’s Medical Center in Jackson, WY. Henderson’s fall, which took place just before 1:30 p.m. was witnessed from below by two hikers in the Amphitheater Lake area. Those hikers were the first to call Teton Interagency Dispatch Center and report the accident. Shortly thereafter, Henderson’s climbing partner, Dan Matzke of Moose, WY, called the dispatch center and reported that Henderson had lost his footing and slid on the snow before disappearing from view. 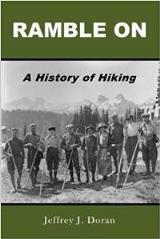 Henderson’s fall carried him a total of 400 feet downhill, including a 60-80 foot cliff, to a location amongst snow and trees approximately 300 feet above Amphitheater Lake. 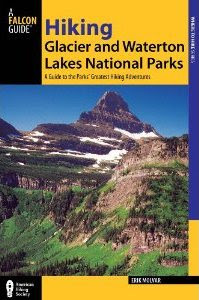 A ranger who was climbing on Disappointment Peak met up with Matzke, assisted him on the technical descent to Amphitheater Lake, and reached Henderson’s location at about 3:00 pm. The ranger assessed Henderson, who was alert but had suffered leg and shoulder injuries. Matzke continued downhill with a bystander. At 4:20 p.m., the Teton Interagency Contract Helicopter inserted two rangers to Henderson’s location via short-haul. The rangers loaded Henderson into a rescue litter and prepared him for extraction by short-haul. One ranger attended Henderson during the short flight out to the Lupine Meadows Rescue Cache at 5:11 p.m. He was transferred to a park ambulance and transported to St. John’s. The helicopter returned to retrieve the remaining two rangers. Though Henderson and Matzke were planning to climb on snow and had all the necessary gear to do so, park rangers recognize that many visitors to the Tetons may not be expecting wintertime conditions in June. Rangers advise that elevations above 9,000 feet are mostly still snow-covered, and appropriate knowledge and experience using an ice ax and crampons is necessary for traversing steep terrain. The Avalanche Creek Trail is temporarily closed from the trailhead to the head of the lake for bears frequenting the area. The closure does not include the Trail of the Cedars. Over the past week, the park has received reports of up to six different grizzly bears in the Avalanche area, coming close to people. The bears are exhibiting some signs of habituation, meaning they appear more comfortable than is natural around humans. 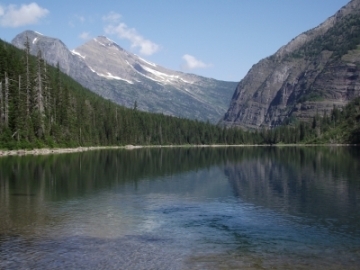 On Saturday, the park rangers received a credible report of a group of people nearly completely surrounding a grizzly bear along Avalanche Lake, causing the bear to swim out into the lake to create distance between itself and the crowd. The temporary closure will likely last several days, and will give park managers the opportunity to assess bear behavior and movement, allow the bears to move to more remote areas, and identify any needed additional actions. The closure is in accordance with the park’s Bear Management Plan. Proper use of bear spray has proven to be the best method for fending off threatening, and attacking bears, and for preventing injury to the person, and animal involved. Anyone participating in recreational activities in bear country is highly encouraged to have bear spray. The bear spray should be readily accessible, and hikers should know how to use it. Visitors should store food, garbage and other attractants in hard-sided vehicles or bear-proof food storage boxes when not in use. Garbage must be deposited into a bear-resistant trash can or dumpster. These actions help keep bears from becoming conditioned to human food, and help keep park visitors, and their personal property safe. A 21-year-old man, Gervais Dylan Gatete from Raleigh, North Carolina, sustained severe burns after falling into a hot spring late on Tuesday, June 13. The incident occurred in the Lower Geyser Basin off of Fountain Flat Drive just north of the Old Faithful area. Mr. Gatete, currently an employee with Xanterra Parks and Resorts, was with seven other people when he fell. After the incident, the group attempted to evacuate Mr. Gatete by car. Just before midnight, they flagged down a ranger near Seven Mile Bridge on the West Entrance Road. Park staff provided immediate medical assistance and transported the patient via ambulance to the airport in West Yellowstone. From there, he was flown to a hospital. Since rangers were not at the scene of the incident last night, it is not yet clear exactly where and how it occurred. Investigations continue today and additional information will be provided when it is available. The ground in hydrothermal areas is fragile and thin, and there is scalding water just below the surface. This is the first serious injury in a thermal area this year. Last June, a man left the boardwalk and died after slipping into a hot spring in Norris Geyser Basin. In August 2000, one person died and two people received severe burns from falling into a hot spring in the Lower Geyser Basin. Learn about safety in thermal areas at go.nps.gov/yellsafety. Approximately 4.5 miles of the Gros Ventre/Kelly Road in Grand Teton National Park is closed from the Gros Ventre Junction with US Highway 26/89/191 to the Gros Ventre Campground due to significant erosion along the Gros Ventre River that is threatening the road. This closure includes all vehicle and bicycle traffic. Traffic to the community of Kelly and the Gros Ventre Campground, as well as other locations in the area, is rerouted via Antelope Flats Road. All detours are signed along the roadways. Grand Teton National Park Superintendent David Vela said, “The large amount of water flowing in the Gros Ventre River is causing some significant and accelerated erosion that may soon compromise the road.” He said, “The safety of anyone traveling that road is our first priority due to how fast the erosion has progressed in the last two days.” The river bank has eroded more than 10 feet in the last 36 hours. An area closure has been implemented around the affected location. The National Park Service will continue to monitor the situation and allow the dynamic system of the river to respond to the increased water flow. At this time, it is unknown how long the closure will be in effect and what the extent of the damage will be. It is anticipated the erosion will continue as the water flow remains high and fast. The Gros Ventre Campground is open and available for first-come, first-served overnight camping. During the road closure, access to the campground is via the Antelope Flats Road, which is approximately ½ mile north of Moose Junction. The Antelope Flats Road provides access to Mormon Row as well. There is no through vehicle traffic on Mormon Row or Warm Ditch Roads, although, bicycles are allowed. A temporary travel closure will be in place on the unpaved section of the Moose-Wilson Road in Grand Teton National Park June 6-8, for a dust abatement application. The temporary closure will begin at approximately 4 a.m. Tuesday, June 6 and the road will reopen by 8 a.m. Thursday, June 8. The temporary closure is only on approximately two miles of the road, on the unpaved section of the road. Motorists and bicyclists should plan to use an alternate route during this temporary closure. This is the first of three scheduled dust abatement treatments for the 2017 season. For those wishing to reach the Laurance S. Rockefeller Preserve or Death Canyon Trailhead, access will be possible by heading south from the Teton Park Road junction near the Craig Thomas Discovery and Visitor Center. The product used for dust abatement is a slurry of magnesium chloride, the same product that is used to treat dirt roads in and around Jackson Hole. This product coats the road surface, but it can also adhere to the undercarriage of vehicles. Motorists who drive the unpaved portion of the Moose-Wilson Road after it reopens on Thursday may want to rinse off their vehicles to eliminate any residue.